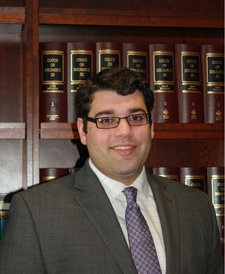 Matthew concentrates his practice in civil litigation defense for bodily injury claims arising from general liability cases including construction and industrial accidents, motor vehicle and tractor-trailer accidents and premises liabilities as well as employment and family law matters. While in law school, Matthew was a participant in the Murray S. Love Moot Court Competition and received the Reed Smith, LLP Public Interest Fellowship, the William Fredrick Shultz, Jr. Legal History Award, and the CALI Excellence in Future Scientific Evidence Award. Matthew is currently serving as Secretary of the non-profit Alumni Volunteer Counsel for the Sigma Phi Epsilon Pennsylvania Gamma Chapter and acts as a mentor for the Sigma Phi Epsilon Pennsylvania Gamma Chapter Chaplaincy.